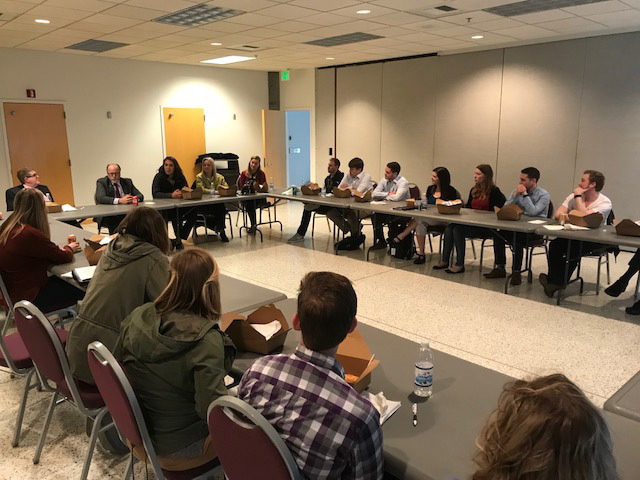 Members from the Washington State Legislature travelled out to the WSU Tri-Cities campus today to attend a lunch forum with the first 15 medical students assigned to the university’s medical school hub in the Tri-Cities. Students thanked legislators for their support of the medical school and discussed their individual experiences so far. they will be spending the entire week training and learning in their assigned region where they will be spending their third and fourth years of medical school. “I think one of the things that was surprising was how much community support there is,” said one student. Several students also said they were struck by how well faculty and staff at the college listen.